Celebrating, supporting and promoting the most outstanding food and drink experiences Britain has to offer. Seeking out the nation’s finest chefs, cookery schools and artisan producers to bring you news, profiles and insights into this bespoke collection of accredited destinations and products. Creating gourmet gifts and dining experiences designed to truly whet your appetite. Their ethos is built on a firm belief in all their partners. Each sharing passions for sustainability, seasonality and in turn supporting the wealth of the Greatest British accredited chefs, venues and accredited cookery schools, who each help deliver this ethos to hungry gourmands seeking new immersive gourmet-experiences with exceptional service standards. 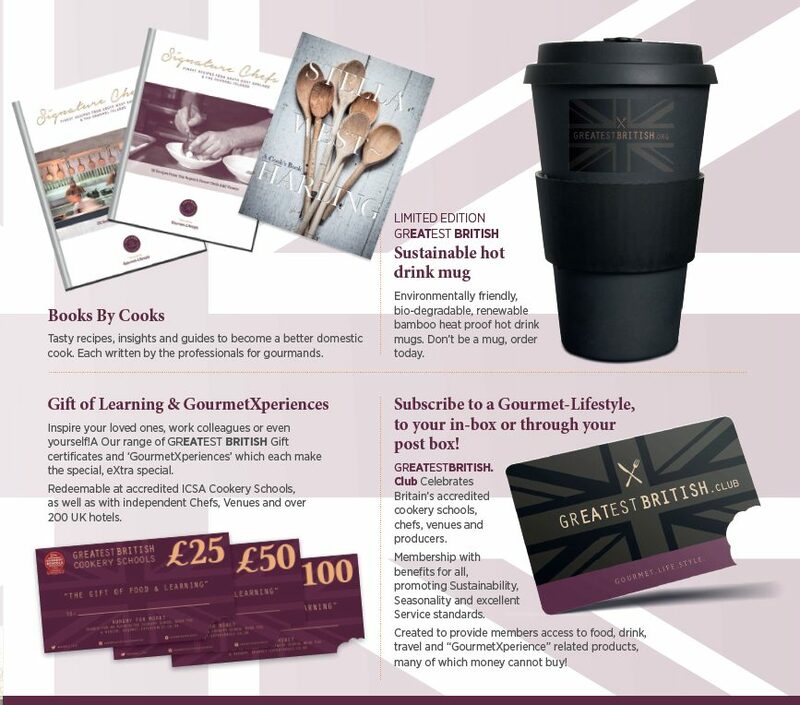 Generating #GourmetGifts which deliver core values to enhance consumer GourmetXperiences. Sponsors of our ICSA #GourmetGifts shop 10% of shop sales profits are invested back into ICSA. GREATEST BRITISH COMPANY overseas the marketing and communications of ICSA Cookery Schools on a Not-for-profit basis.